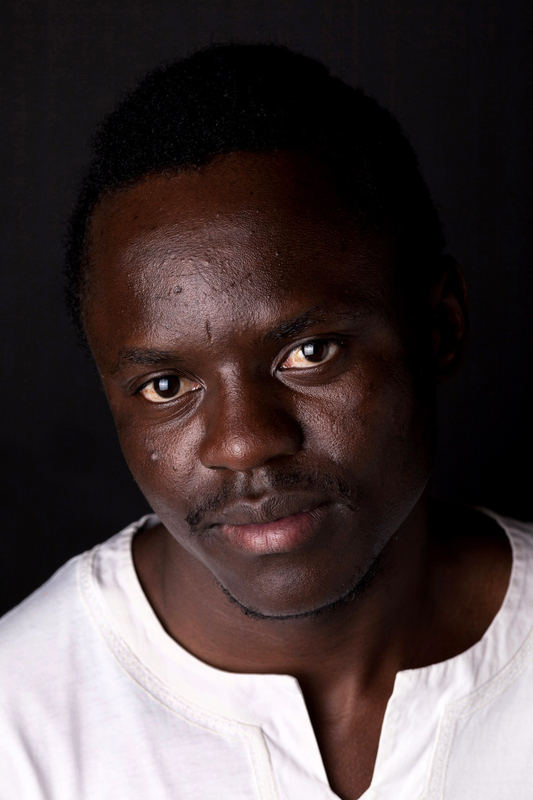 Frederik Ngubane was born in South Africa to South African parents 22 years ago but, lacking any proof of his origins or nationality, he lives a shadowy, marginal existence. He cannot travel, study or secure formal employment and has lost count of how many times he has been arrested for being undocumented. Not considered a national by South Africa or by Kenya or Uganda - the two countries where he grew up - Ngubane is stateless, a predicament he shares with an estimated 12 million people worldwide, according to the UN Refugee Agency (UNHCR), which is mandated with trying to reduce that figure. Nationality confers a host of rights that stateless individuals cannot access, from education and healthcare to the ability to register a marriage or a birth. As a result, statelessness is often passed from one generation to the next. As early as 1954, the international community, under the auspices of the UN, adopted the Convention Relating to the Status of Stateless Persons, which defined who is a stateless person and established a framework for their international protection. A second international convention adopted in 1961 focused on reducing cases of statelessness], primarily by requiring participating states to grant citizenship to children born on their territory who would otherwise be stateless. However, the majority of countries in Africa have not ratified either convention (see map), leaving them under no obligation to pass national legislation that would address the issue. An individual can end up stateless for a variety of reasons. Orphans whose births were not registered before their parents died and unaccompanied child migrants who arrive in a foreign country without documents are particularly vulnerable. Laws still in place in several African countries, including Malawi and Madagascar, that prevent married women from passing nationality to their children also contribute to the problem. According to Sergio Calle-Norena, deputy regional representative for UNHCR, laws allowing for only one nationality and the denial of citizenship to certain groups are the main causes of statelessness in the Southern Africa region. "Currently there are no guidelines in the law on how to identify a stateless person and what rights they're entitled to"
In Zimbabwe, for example, following an amendment to the citizenship act passed in 2001, individuals with dual nationality were given six months to renounce their foreign citizenship or lose their Zimbabwean nationality. The new law affected countless Zimbabweans whose parents had migrated to the country from Zambia, Mozambique or Malawi at a time when white-owned farms and mines offered plentiful employment. Most did not, in fact, hold citizenship in their parents’ countries, making it impossible for them to renounce it, while many were simply unaware of the new law, which was widely viewed as a means for the ruling ZANU-PF party to disenfranchise opposition supporters. The new law stripped both Promise and her mother of their citizenship. They now live in South Africa, where the asylum-seeker system offers them a temporary and precarious form of documentation. Promise approached Lawyers for Human Rights (LHR), a South African NGO that, with funding from UNHCR, has been running a project to provide legal services to stateless individuals since 2011. UNHCR is also funding the international faith-based NGO Caritas to run a similar project in Mozambique, another country with a large burden of statelessness following years of civil war that displaced hundreds of thousands of its citizens. South Africa has pledged to sign and ratify the two UN conventions on statelessness by the end of 2013, and both LHR and UNHCR are advocating for this pledge to be honoured and for relevant legislation to be established. In the meantime, LHR is assisting stateless clients on a case-by-case basis. Of the 736 stateless clients that LHR helped in 2012, over a third were born in Zimbabwe; many of them lost their nationality like Promise. Another 150 were born in South Africa but are struggling to access nationality in any country. Jessica George, a legal counsellor with LHR, explained that this group of stateless individuals does not qualify for asylum, and they have no way to access legal immigration status other than through an exemption for permanent residence, a process that allows the Home Affairs Minister to grant permanent residency to foreigners with special circumstances. However, exemption applicants can wait up to three years for a decision. “In the meantime, they’re given no temporary permit, so they’re subject to detention, which tends to be prolonged because they can’t be deported,” said George. Frederik Ngubane, stateless in South Africa: "It's like my future is on hold"
Ngubane spent three months at Lindela Repatriation Centre, South Africa’s largest holding facility for undocumented migrants awaiting deportation, after being arrested at a Home Affairs Department office while trying to replace a lost birth certificate. The document was his only proof of South African nationality; he had lost both his parents and all contact with his South African relatives during his time in Kenya and Uganda. With help from LHR, Ngubane has applied for a permanent residency exemption, but so far he has received no response. In fact, according to George, only one of LHR’s stateless clients has received a decision on permanent residency exemption in the past two years, and it was negative. In cases where a client has a claim to foreign nationality, LHR approaches the country’s embassy for assistance securing citizenship. However, few embassies or consulates provide such services, and for most stateless people, travelling to the country where they have a nationality claim is unaffordable and unfeasible given their lack of travel documents. “One of the easiest ways to prevent statelessness would be if consulates provided certain services, so people wouldn’t have to leave South Africa in order to access their citizenship,” said George. Calle-Norena of UNHCR says that, besides ratifying the two conventions on statelessness, addressing the problem requires political will. He noted, for example, that South Africa’s Citizenship Act grants nationality to any child born in the country who would otherwise be stateless, but that non-nationals without documents struggled to register their children’s births. “There should be a mechanism that allows [the law] to be applied, but in practice this is not yet operational,” he told IRIN. Through a combination of luck and persistence, Promise has succeeded in convincing the Malawian authorities to grant her citizenship. She has never been to Malawi but plans to move there as soon as she receives her passport. Numerous visits to home affairs offices in several provinces have not yielded any results, other than several attempts by corrupt officials to solicit bribes in return for a birth certificate or refugee status. “If you don’t have money, you suffer,” he said.